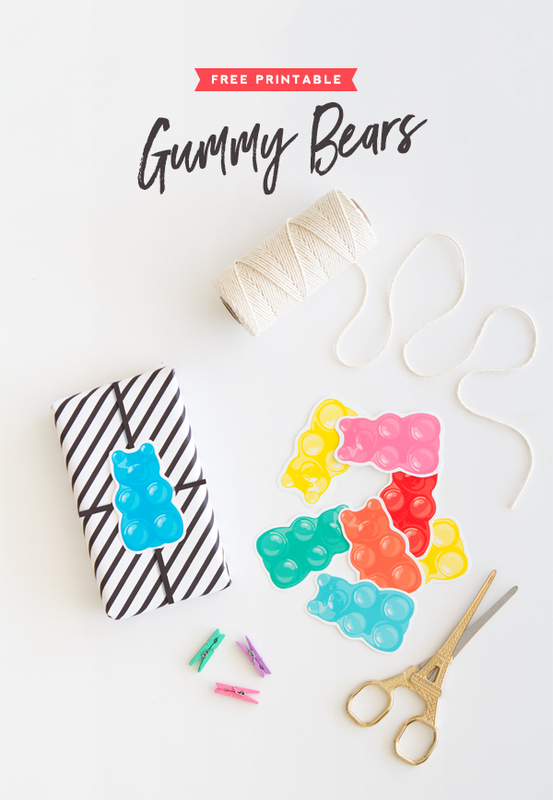 Here’s a free printable that’s guaranteed to make you smile! 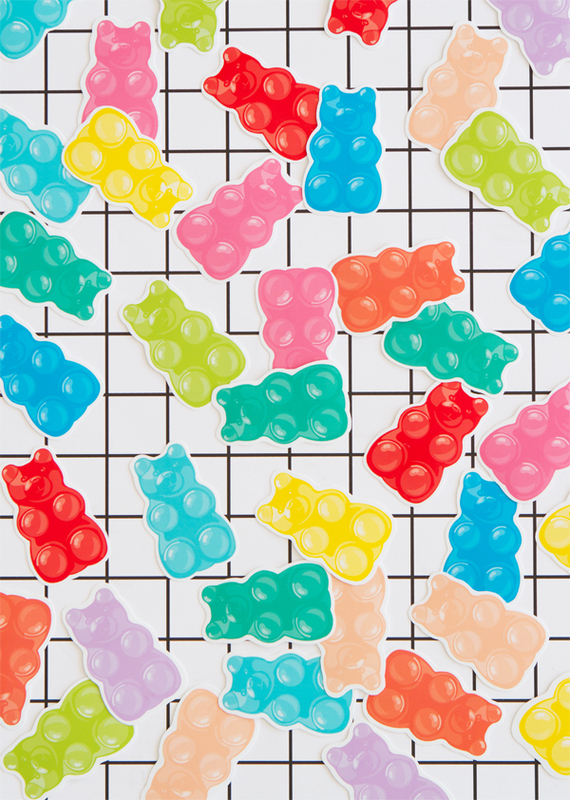 If you don’t love gummy bears you probably have no soul. I mean, seriously, you should think about getting that checked out. 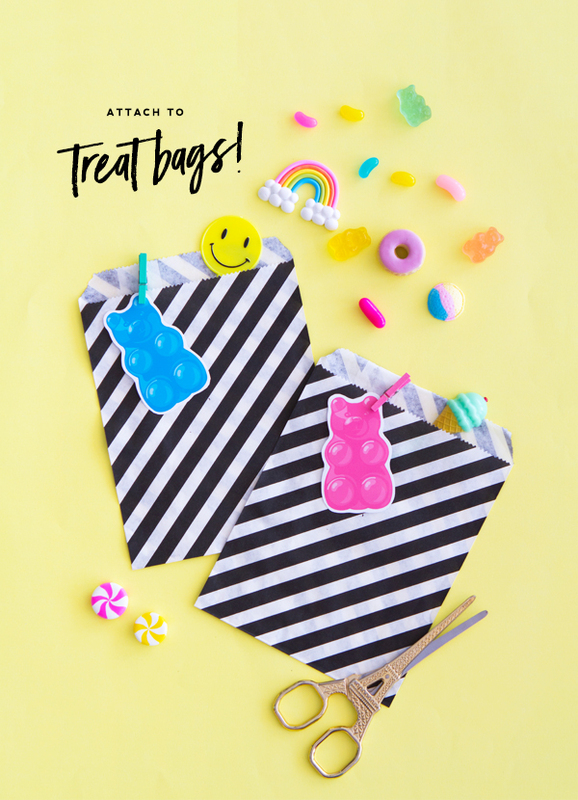 Turn these rainbow colored cuties into gift tags (or stickers) for presents or treat bags! Simply download the artwork. Open in Adobe Reader (do not attempt to print from image viewer as colors may come out wrong!) and print onto thick, glossy photo paper. 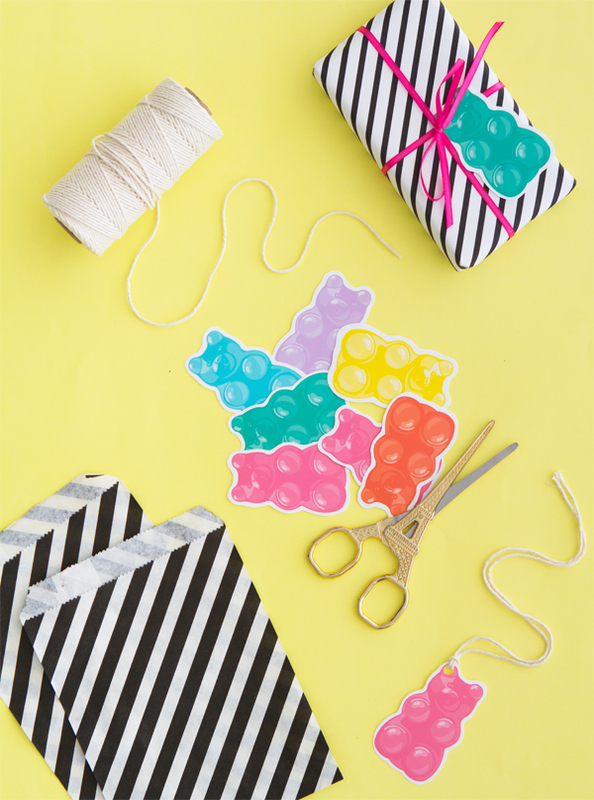 Use scissors to cut out the bears. 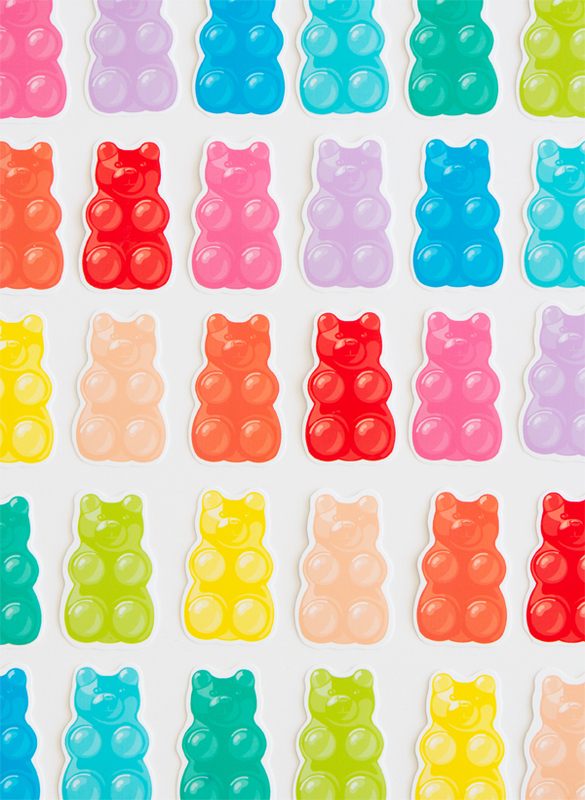 Soulless Gummy Bear haters – they’re like the new zombies. So cute! Perhaps to adorn a graduation gift? These are super fun! I love the gummy bears.